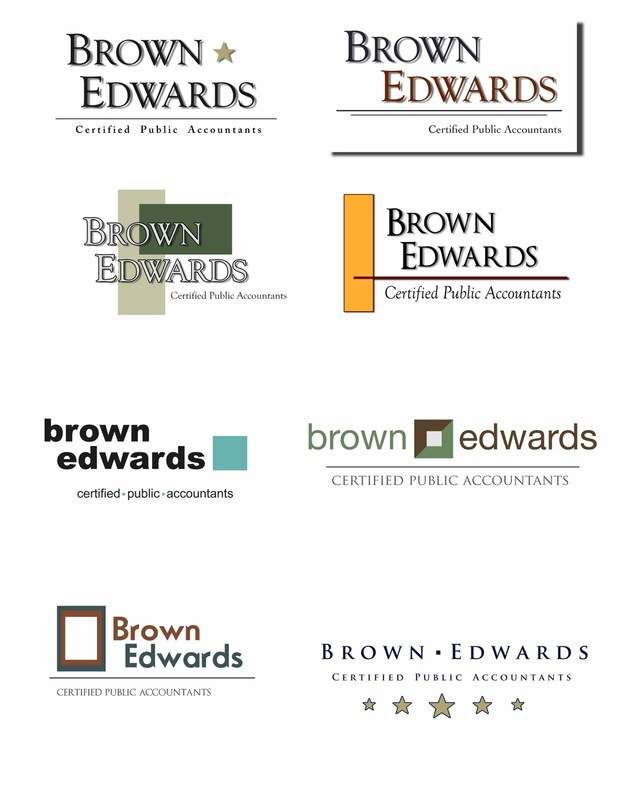 Here's some logo designs I did for Brown Edwards CPA a few months back. Yes, this is graphic design work. 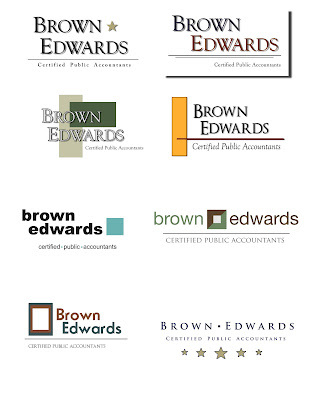 BUT (and I cannot emphasize this point enough)...GRAPHIC DESIGN IS NOT THE SAME THING AS COMPUTER ANIMATION. But most people are completely befuddled at words like "rigging, rendering, compositing, texturing", so they just default to the closest thing they know, which is graphic design. But just know, computer animation and graphic design are as different as baseball and football. Both sports, yes indeed, but not at all the same thing.